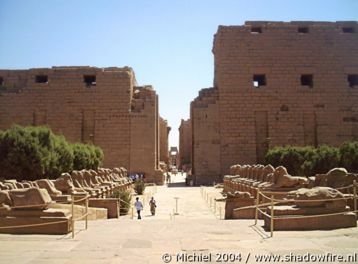 Approaching the Karnak temple complex, several sanctuaries dedicated to various gods. 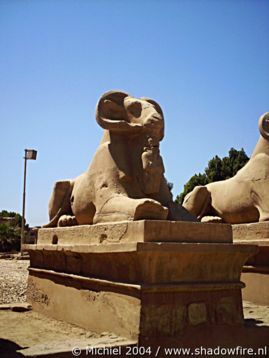 A huge place, 1.5km by 800m, dedicated to the Theban gods and Egypt's pharaohs. 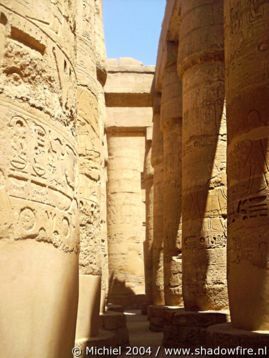 The Great Hypostyle Hall, built by Seti I and partially decorated by Ramses II. 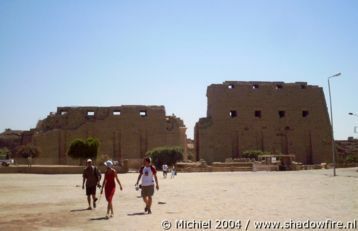 Interesting fact: this hall featured in The Battlestar Gallactica episode 'Lost Planet of the Gods'. 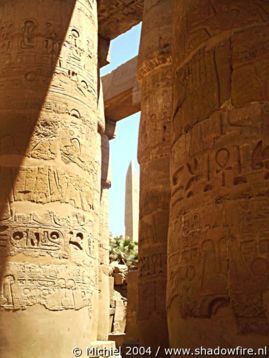 View of one of Hatshepsut's obelisks through the Great Hypostyle Hall in the Amum temple enclosure. 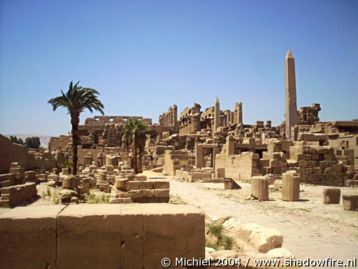 View from the inner temple on to the obelisks of Hatshepsut and in the direction of the Great Hall / Amun temple enclosure. 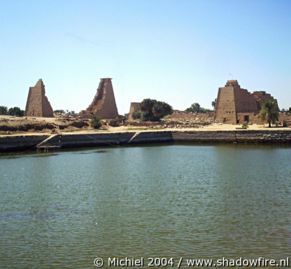 The remains of the Mut Temple beyond the Sacret Lake.